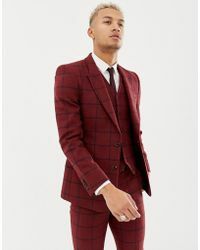 Back on the style radar having shed its just-for-Wall-Street connotations, a sharp three-piece suit looks slick at weddings and formal events, and wins style points in the boardroom. Take inspiration from leading men Cary Grant and Humphrey Bogart and look the business in suits from and more. 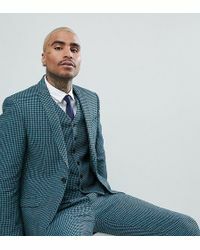 Whether it's for a special occasion or a day at the office, sometimes a certain level of formality is required and nothing says smart like a three-piece suit. 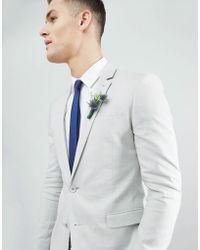 A well fitting suit is something every man's wardrobe should posses, so consider this investment shopping. 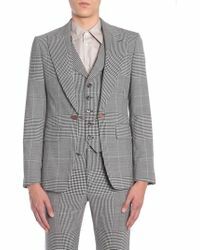 Dolce & Gabbana, Hugo Boss, Givenchy and Armani have long since mastered the art of the perfect three-piece, but if you're shopping on a budget, you don't have to go designer to make a statement. Look for classic cuts in navy or black for an ageless style that will prove to be a lasting investment for years to come.